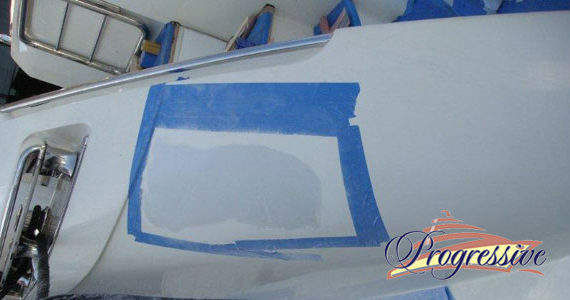 Gel coat is the most durable part of the yacht, unlike paint. Gelcoat is basically a relatively thick layer of resin with colorant added. It’s the final layer coating the fiberglass weaving which makes up the structure of the boat. The gel coat is very porous, very absorbent, and will oxidize no matter what. 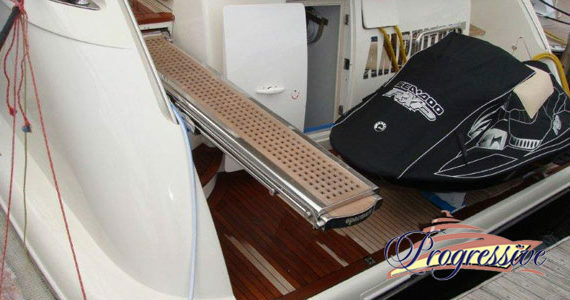 Unfortunately, unpleasant things happen sometimes when you are having fun, such as accidents, spider cracks, minor scratches or chips which can affect the cosmetic quality of your yacht’s surface. If you neglect these problems, they will become costly to repair and reduce the value of your yacht. 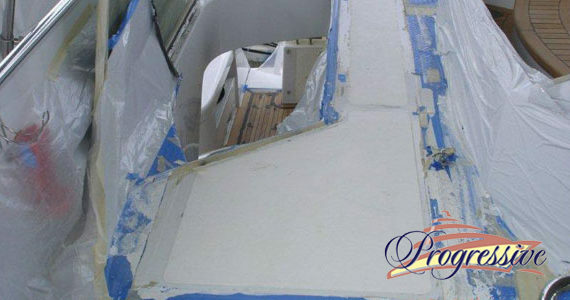 Sometimes if the blemish is deep enough to expose the fiberglass mat below and if immediate attention is not taken to prevent water from entering the core of your structure, your yacht will be compromised. Proper care is what we are about. Our professional, trained technicians can take care of most situations. 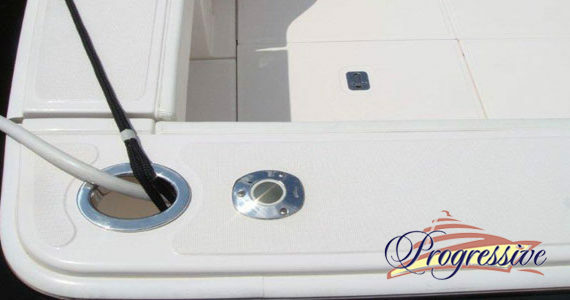 Get a marine gel coat repair estimate here today and we will repair your yacht and make it like new. To restore sheen start with small sections, preferably 2ft x 2ft. 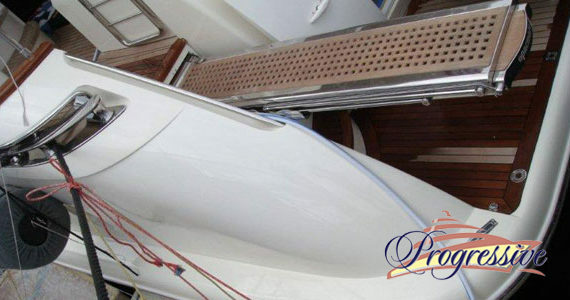 Using a high-speed buffer, a wool buffing pad, and a good restorer/polish, buff the gel coat to bring a yacht to its original luster. 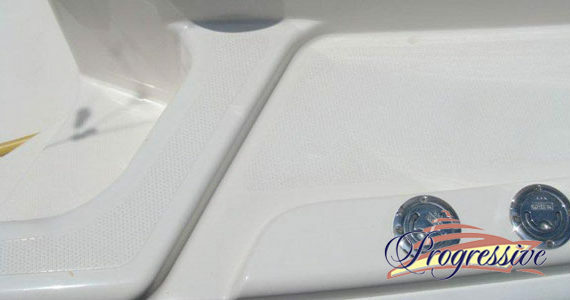 While buffing, do not allow the product to dry since the gel coat is very prone to swirls and is also very absorbent. Buff off the product while it’s just about hazed with a clean 100% terry cloth towels. We use terry cloths since microfiber rags will clog from the thick polish, remove the oxidized gel coat, and are very expensive. Avoid buffing near the canvas snaps since one hit with the buffer will not only clog the snaps with compound but will also create black streaks and embed them into the gel coat. These are not fun to remove. 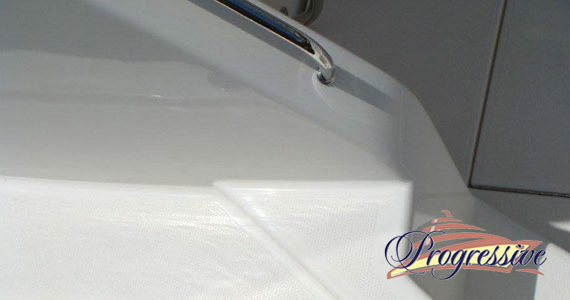 After the entire gel coat is buffed, rinse the boat to remove all dust. 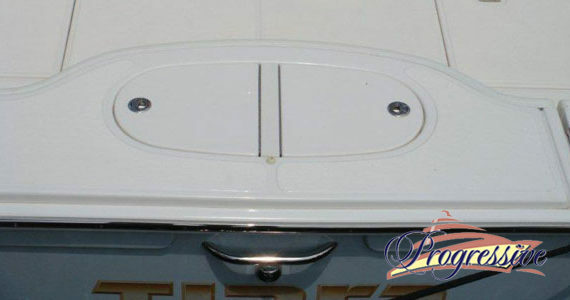 And trust me, you will have major dust when detailing boats.